Barack Obama took office in 2009 with the upmost confidence that he would be able to dramatically improve America’s relationships with many states around the world. 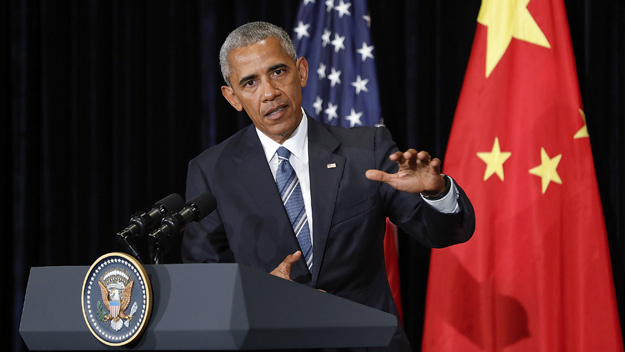 Eight years down the line, after having served two terms his successes regarding foreign policy have been immense and his missteps have been apparent. He was left with a difficult, arguably unprecedented challenge when it came to the international arena. With tensions rising uncontrollably in the Middle East, aggression increasing from Russia, the rise of China, and the nuclear advances from North Korea were just some of the threats facing the new Presidency. Modest progress has been achieved by Obama when it comes to global nuclear security and climate change. He managed to engage and negotiate with long time antagonists Cuba and Iran and obtained somewhat positive results. When visiting Cuba in March last year he managed to champion changes to US policy with Cuba, signalling the renewed diplomatic relations after a 55-year-old ‘Cold War’ with Cuba. Despite, the heavy criticism Cuba received from the President for their human rights record, the administration’s grounds for re-opening relations with the country was that engagement would bring about change rather than continuing with isolation. The development was accentuated by the death of Cuban revolutionary leader, Fidel Castro. Achievements with regards to arms control were highlighted by the 2015 deal brokered by the Permanent 5 + 1 (US, UK, France, China, Russia and Germany). The deal received heavy criticism for having cut a deal with Iran however, Lee H. Hamiliton believes that ‘the Obama administration attacked the most critical problem – Iran’s march toward nuclear weapons – and negotiated terms that paused Iran’s quest to develop a nuclear strike capability’. Critics have also emphasised that as far as solving any other problems with Iran, the agreement did not do much. Issues such as their support for the Syrian government and for insurgents in Iraq as well as other parts of the Middle East were not addressed. So, as far as the overall progress for Iranian-American relations go, they have been disappointing. Also, in 2015 the Obama administration made considerable progress on environmental issues. The Paris Agreement on climate change and greenhouse gases was signed by numerous states including the likes of India, China and the US itself – the top producers of greenhouse emissions. Hopefully, the agreement will be implemented properly and the world will see a decrease in global warming and climate change as a result. However, as mentioned above, the Obama administration has had significant failures as well. Initiatives in numerous countries, many which are found in the Middle East such as Syria, Libya, Iraq, Afghanistan, Egypt and efforts to oppose the Islamic State have fallen short. Foreign Relations Councillor Phillip Gordon highlights that ‘no one has developed a winning formula for dealing with the Middle East or Northern Africa.’ The Middle East is perhaps an even more dangerous place after the eight years of the Obama presidency which followed eight years of disastrous foreign policy under the Bush presidency. One thing is for sure. Attempting to intervene and occupy as we saw in the example of Iraq; attempting to intervene and not occupy as we saw in the example of Libya and attempting to neither intervene or occupy as we saw in the example of Syria. We have learnt, that in all cases, the outcome has been as detrimental.